Borne out of a love for travel, good food and luxury interiors, combined with the frustration of not being able to find the standard of accommodation sought in one carefully curated place, Boutique and Breakfast was created to fill this gap. Since our launch in 2011, we have quickly become the leading guide to the finest boutique-style accommodation in the UK and we are now starting to expand our reach into Europe and beyond. With a profound dislike of the bland and predictable we passionately believe in what we do. We celebrate individuality and quirkiness, creativity and uniqueness. But it is not just about the property and beautiful interiors; it is also about offering our guests the personal touches and service they look for when seeking a more experiential break. We delight in finding unique properties and have become known for our high standards. By setting a new benchmark for quality, guests return to Boutique and Breakfast time and again as they come to appreciate the standards we have become renowned for. Ultimately, we take great pleasure in finding properties that are a blend of the above with a fabulous location thrown into the mix! 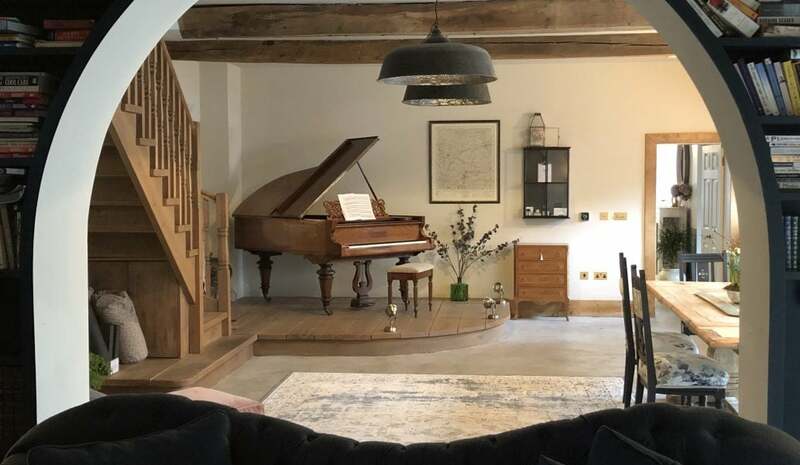 If your boutique accommodation is in keeping with the high standard of properties that you can see on our website, then there is a good chance that it is suitable for Boutique and Breakfast. Boutique and Breakfast strongly believes in quality and not quantity. We do not pretend or want to be like the many websites featuring any size or type of accommodation. Our aim is to build a carefully curated collection of Boutique accommodation that will both excite and delight guests. By applying our strict selection criteria, we ensure that only the very best properties are included in our portfolio and frequently turn away those that do not make the grade. This ensures that you will never find your property alongside others of an inferior standard and we believe that the high standard of our featured properties is what sets us apart. Take a look around our website and you will find that our properties speak for themselves. We provide a platform for members to showcase their property to a dedicated audience seeking luxury boutique accommodation. Our beautifully designed site conveys our featured properties in an easy to navigate and consistent format, using a combination of informative narrative and stunning imagery. Each time a new member joins us they will benefit from our reputation and being part of a carefully curated portfolio of luxury boutique accommodation providers with an increasingly committed following. Boutique and Breakfast works hard behind the scenes to continue to raise awareness of both our brand and our featured properties. We are proud to say that we rank at the top of search engines for key search terms, above sites that have been established for much longer. With our ongoing, comprehensive media and communication campaigns that encompass social media, blogs, features/articles in national and regional newspapers and magazines, plus regular e-shots to our subscriber database, our featured property owners tell us that no other website gives them as much attention in these areas as we do.Take a look at our Facebook, Instagram and Twitter pages, and the ‘Focus on…’ feature, blog and special offers section on our homepage to get an idea of what we mean. In a constantly changing digital world, we continually look for new ways in which to engage with our audience to our members’ benefit. By taking all the hard work away, we allow you to concentrate on providing your guests with the ultimate boutique experience. We understand that running your property is your business and that you will have your own way of doing things. As your marketing partner we appreciate that you will have your own motivations for joining us and that there is no place for a ‘one size fits all’ approach. We offer a simple but clearly defined, tiered membership structure based on number of bedrooms, which includes a variety of features as standard. We also offer a range of additional feature options, dependent on how hard you want us to work on your behalf. As business owners we understand that you will want to see how your property is performing and we track both where our visitors are coming from and where they are looking to stay. As a member of Boutique and Breakfast you will have your own unique login where you can see how many page views your entry receives, plus the number of referrals we generate for you. By closely monitoring the analytical data from the website, we constantly look at ways to increase both traffic to the site and conversion rates to the benefit of our member properties. Once you have decided that joining is right for you we will go about creating your listing. We will provide you with a form that you will need to complete and return and we will use the information you provide to draft your entry for the website. We will also need up to 11 landscape style, high resolution interior and exterior images of your property to illustrate your listing. Your listing will not go live until we know you are completely happy with it! If you are an owner of boutique accommodation and think Boutique and Breakfast is the right marketing partner for you then we would love to hear from you. We will respond quickly to your enquiry and when you feel the time is right to join we will talk you through the next steps.